From this point you can see the extent of the lakes formed by gravel extraction. At the end of the last ice age, melting glaciers deposited millions of tonnes of sand and gravel along the Nene Valley. 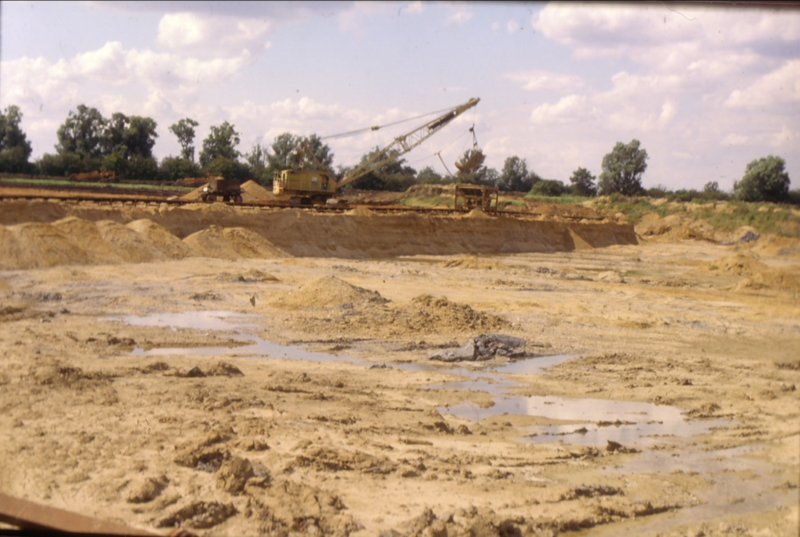 Sand and gravel, otherwise known as aggregates, are very important for the construction industry and, in the 1970’s, extraction began at Irthlingborough. Before the gravel could be sold, it had to be washed and sorted. 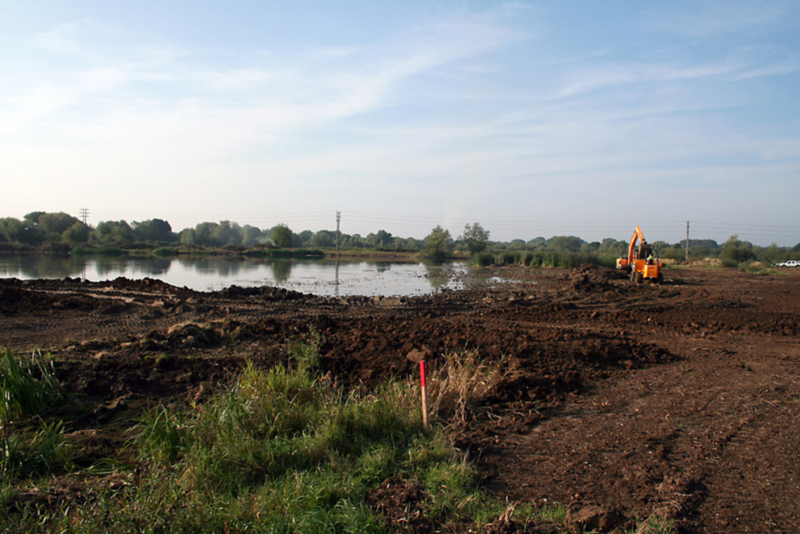 A giant processing plant was built at Stanwick Lakes and an electric conveyor belt was constructed along the railway line to transport the stone from Irthlingborough to Stanwick. In total, 1.5 million tonnes of aggregate were extracted from the lakes area. Before large scale gravel extraction took place, small amounts of clay would have been dug up from this area for use in the nearby Metropolitan Brick and Tile works. 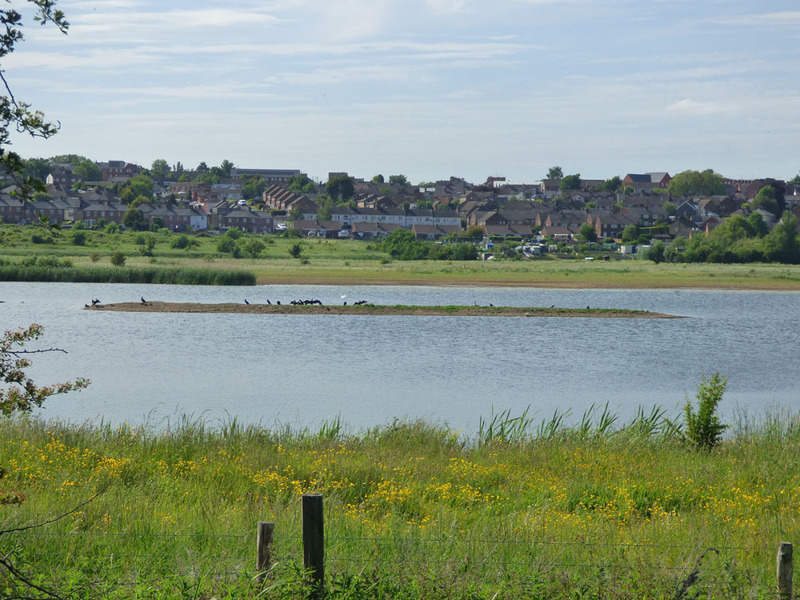 When gravel extraction finished in 2002, the pits were allowed to flood, thus creating the series of lakes you can see today. If you look straight ahead you can see an island in the middle of the lake. This used to be a peninsula but was cut off by the Trust to prevent predators from disturbing the ground nesting birds. It is a favourite haunt of the resident cormorants who can often be seen stretching their wings in the sun. In summer, it is an ideal nesting spot for terns and in winter, hundreds of lapwing descend on it to rest and feed. On the far side of the lake, you can should be able to see a flat, muddy area. This ‘scrape’ has been dug out by machines to create a winter feeding ground for wading birds such as lapwing and golden plover. Little egret can also often be seen here. If you look behind you, you can see an area of dense vegetation and scrub. This area is particularly good for warblers and Cetti’s warbler can often be heard here.